Unless you have been under a rock, you know that neon is back in. The question is are you in? I am as long as I do it in bits and it has a little island style to it. What's not to love about the pic above, right? 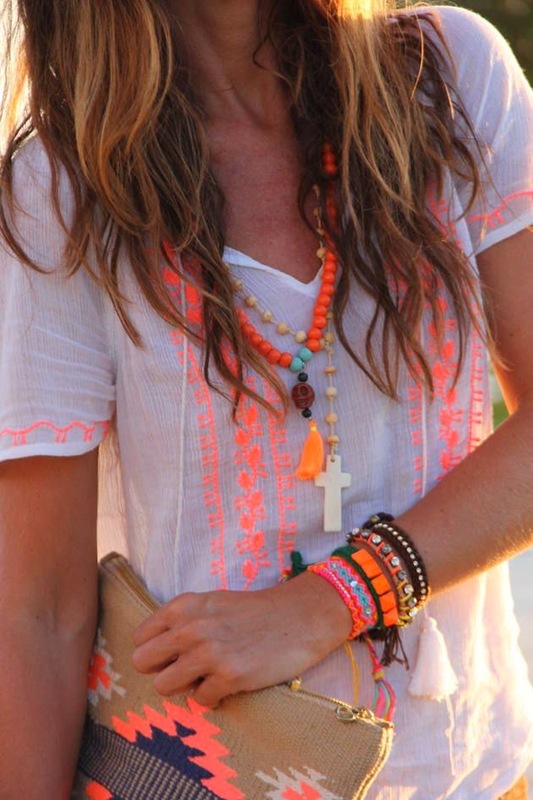 I mean, the white shirt, the layers of summertime jewelry, a little tribal, a little boho. I could eat this picture, but the truth is that with any trend you have to make it your own and make sure not to overdo it. I think I might add a little neon with some wrist candy. These bracelets are so cute with the little shark tooth, and are the perfect little bit of happy. For some more neon inspiration head to Word of Alicia, to see how she wears lime and also for her tips and inspiration on how to do neon in bits. So what do you think about neon for summer, yay or nay? Thanks for the shout out! I really, REALLY, am loving my neon lime look for summer. Now I need a few more casual pieces and some jewelry! Especially some mix and match bracelets like those or the ones that come in the Nail This Look Set from mark.